Why do people work at my company? When the WHO warn that "the wealth of an organisation is measured by the health of its workers" or when studies conclude that "companies with happy workers are able to increase productivity by 31%", it is unwise for any company that wants to grow not to implement the necessary actions to achieve an environment in which workers are motivated by what they do, feel cared for and integrated as part of a team that is working towards the same goal. 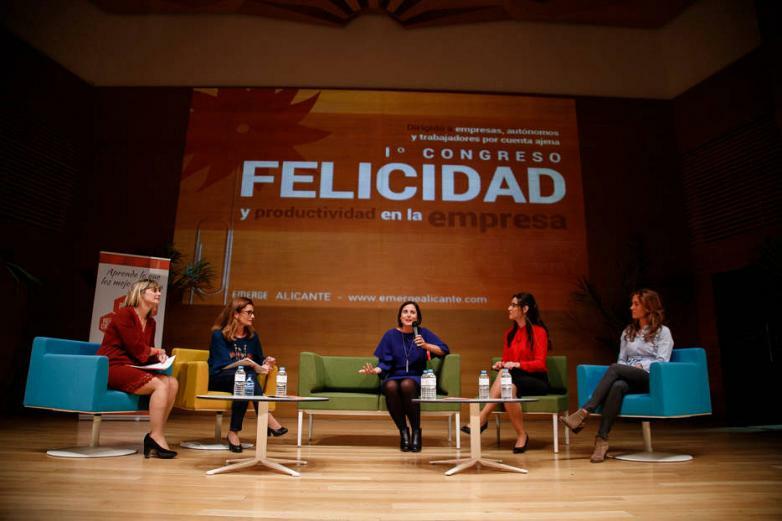 Sociologists, psychologists and HR professionals of the stature of Mario Alonso Puig, Pedro Marcos, Ángel Luis Sánchez and Jordi LLonch met at the first edition of the Congreso de la Felicidad y Productividad en la empresa [Congress of Happiness and Productivity at Work] organised by Emerge Alicante in this city to explain why health and wellness are the levers to be pulled to improve the commitment and productivity of employees, working with companies in the province such as Actiu, Meliá, Energy System and Natural Cosmetic Lab to share strategies that encourage wellbeing within their organisation. From "taking care of your diet, physical exercise, and controlling stress", "promoting work-life balance by encouraging flexible working hours" and "spending time listening to workers answering the question 'why do people work at my company? '", the various managers from the participating companies considered and shared the actions implemented in their respective companies. We are witnessing a global paradigm change that has positioned wellness as a priority on the corporate agenda: the commitment to Wellness is an opportunity for companies to boost their competitiveness and acts as a differentiating element for attracting and retaining talent. According to a report by the international consulting firm specialising in Wellness, CBRE, “by 2040, the lines between the home and the workplace will have become blurred. The workplace will be a space where professionals live in the office and where their health and wellness is looked after, it will offer us responsible services such as greater access to natural and adjustable lighting, access to healthy eating or fitness services." There is a strong relationship between healthy offices and energy efficiency that cannot be ignored. Health and wellness is a powerful value proposition that affects everyone in the organisation. Energy efficiency is an important source of cost savings that is more related to facilities and their operations. Both initiatives must go hand in hand as technology allows for this feedback. Looking back just 15 years, we can laugh at those people who predicted that sustainability was a fad. Nowadays, all buildings that aim for any sort of even minimal attractiveness consider sustainable certification. 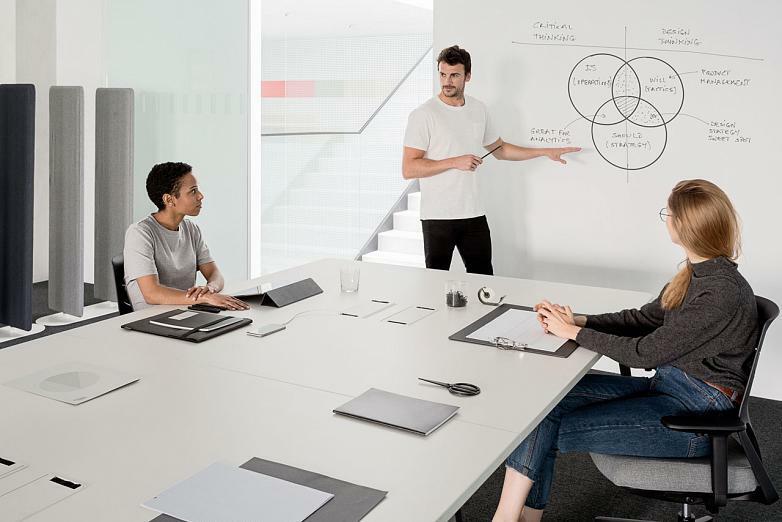 After these 15 years, the needs of companies and their workers have broadened and, in this new scenario, it is also important that offices are tools to motivate and better engage workers so that they maintain a stable level of health and productivity. For HR departments, offices have become an essential tool to interact with their employees in generating value by means of the development and cultivation of human talent, and one of the levers that will be used most to achieve this is health and wellness. In this sense, "Offering the best experience to our employees, providing them with physical and emotional wellbeing, are objectives that are increasingly demanded by qualified professionals. The employee perceives the effort made by an organisation to take care of and empower them and that, in the end, always translates into positive and profitable figures for the company. As a result, putting people first makes the organisation more efficient in the end," says Soledad Berbegal, Strategic Brand Director at Actiu. For those who think that, like sustainability in companies, encouraging workers' happiness in order to be more profitable is a fad, they need only refer to the findings of numerous field studies in various organisations around the world. 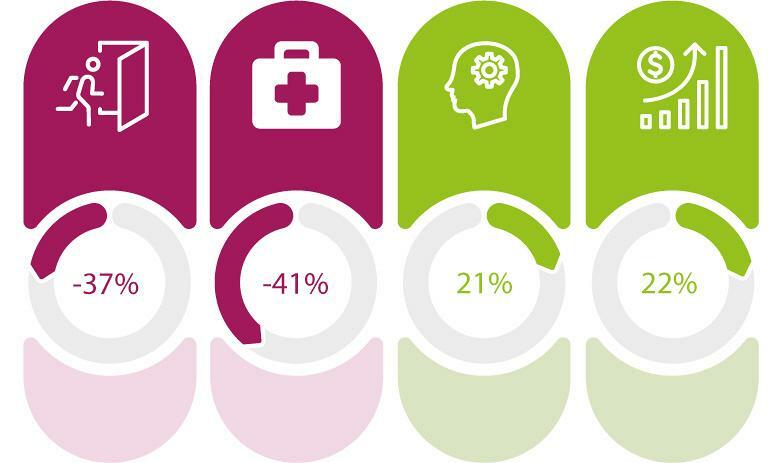 After incorporating elements that favour these aspects (wellness and health), absenteeism is reduced by 37%, occupational accidents are reduced by 41% and, moreover, productivity rises 21% and business profitability by as much as 22%. Home > News > Why do people work at my company? Home News Why do people work at my company?